The Challenge: To create the super centres within their distribution centres at Harlow and Skelmersdale, with minimal disruption to picking procedures and deliveries. The Answer: Two Mezzanine floors, one @ 2174m² the other @ 4843m². Column/leg positions of paramount importance so stock movements and flow patterns were not compromised. 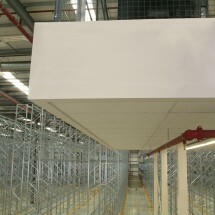 Fire protection was required for the safety of staff working on the mezzanine floor permanently. 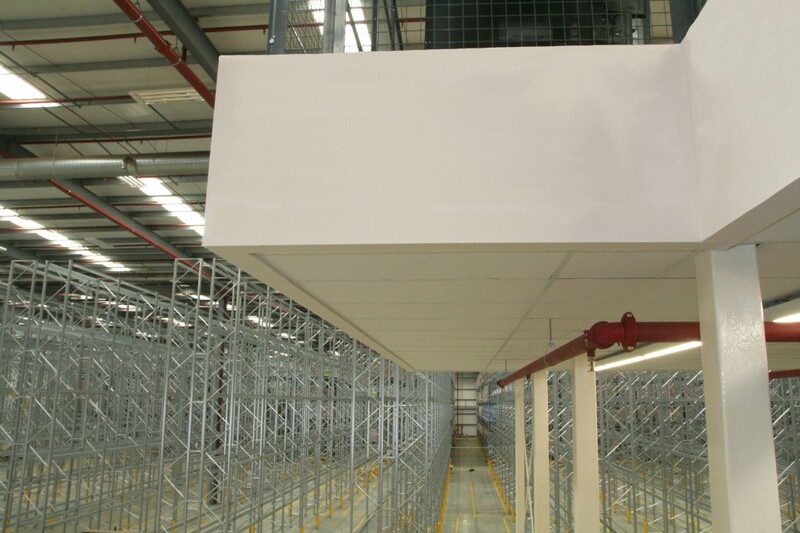 Deflection ratios were increased from a normal warehouse mezzanine, to give the structure a more solid feel, especially as hand trucks and trolleys were to be used. 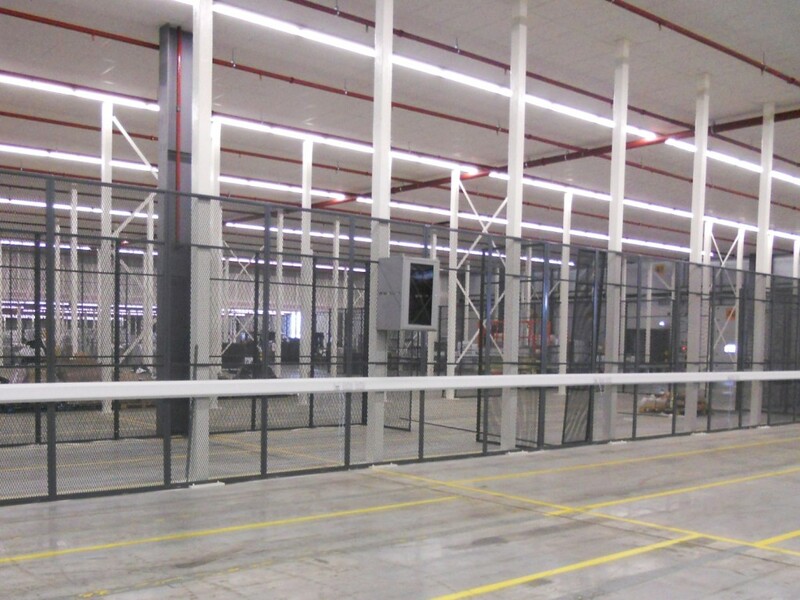 The structure had to be designed to accommodate scissor lifts, pedestrian and goods lifts, pallet access and fire escapes. Special column protectors were designed and manufactured to protect the columns from FLT damage. Total metres of purlin: 10650 or 6.6 miles! Number of stair flights: 20 no. Weeks on site: 6 no. 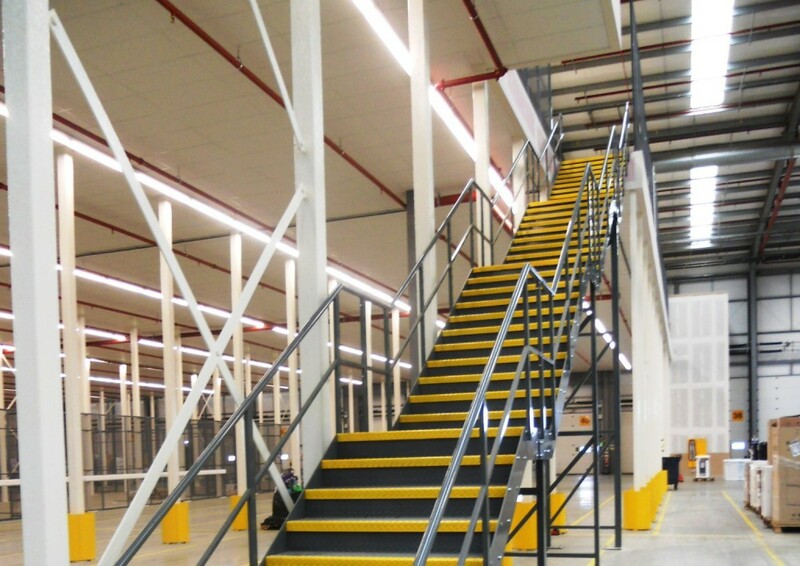 As you can see from the above, Storplan have the skills and expertise to design and build you a mezzanine to your unique business, building and processes. If you would like more information or some design ideas please contact us.